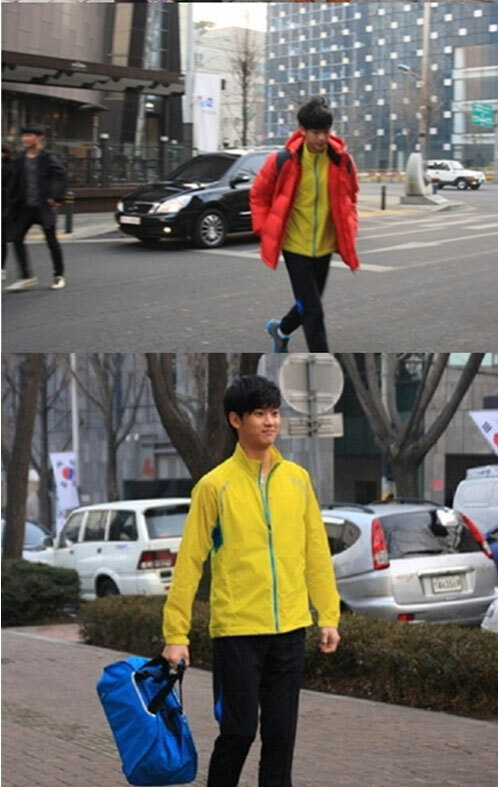 Actor Kim Soo Hyun undressed the hanbok, and appeared dressing in sportswear early in the morning. On February 25th, 2012, a post and several photos with the title of “Is Kim Soo Hyun went for a walk early in the morning?” was posted on an online community forum. In the photos, Kim Soo Hyun took off the Gonryongpo imperial robe in The Moon Embracing the Sun, and put on sportswear. The photos were CF photos took at a garden at Gangnam in the early morning. Netizens said, “Because he is alone, so looks a bit embarrassing” and so on. The Moon Embracing the Sun has remaining 4 episodes, but the ratings have been more than 40%.